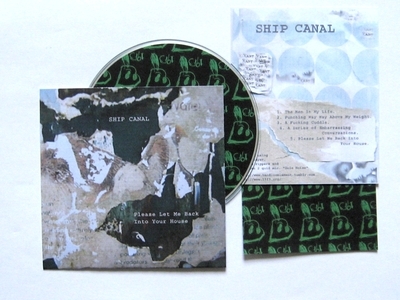 Just got this on CD - Please Let Me Back Into Your House by Ship Canal and it's only £4 inc P+P! I would attempt a review but I'm crap at that and there's a great Press Release over on 19F3 - The World's Greatest Yeovil-based Non-boutique Nano-label! Where you can read ALL about it and Daniel Baker (Ship Canal) and even listen to an excerpt! But most of all BUY IT!